And now for some HQ! I present Echst Ralelerin, Mentor Legion Librarian. 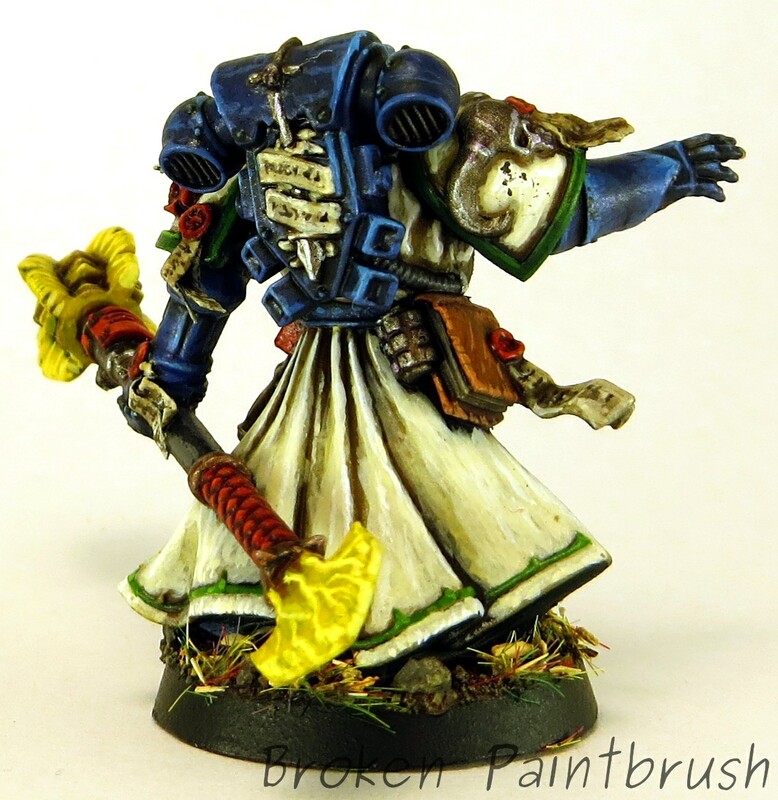 The model itself is from the Dark Vengeance box with an arm swap with the weapon from the chaos terminator lord. The rest of the work involved careful removal of all the Dark Angel insignia. I really love the glaring look as he focuses at his enemies. I thought the model had a great sense of focus and power except for the pose of the original sword, it was too posed for my tastes so a more relaxed arm stretched about behind gave more focus on his spell casting hand. The maced head staff helps give more dimension to the model as well by creating an up and out line. You can also see from the picture above that I made some custom purity seals to both incorporate the new arm as well as cover the hand swap. I also made the Mentors icon a bit more interesting by covering the eye socket as well. 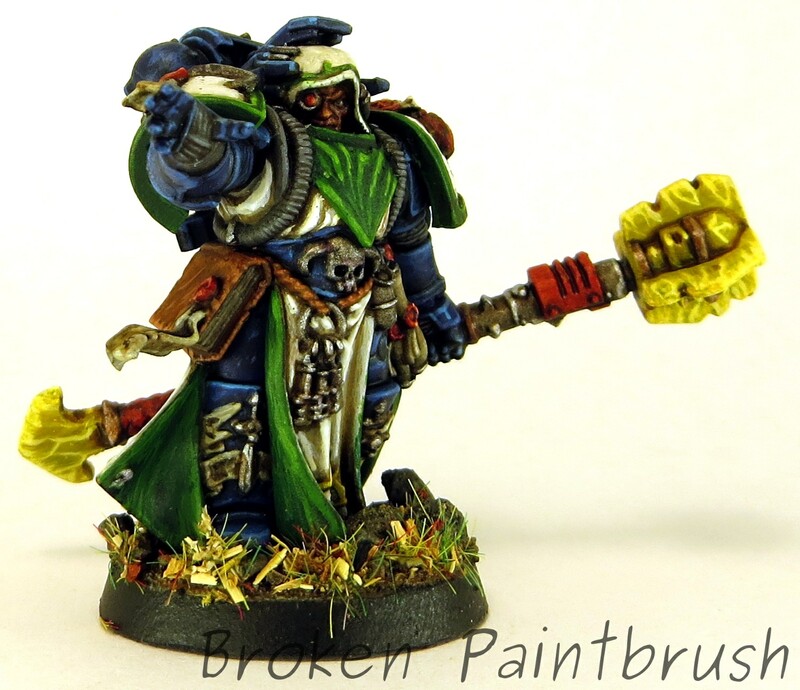 The staff was made from a combination of pieces, mostly from a Chaos Terminator mace and Chaos Lord sorcerer staff. The length of the staff has a single, long pin to create strength through the cobbled together pieces. The blue armor was fun to do instead of all the green and white and was in some ways was similar to my Behemoth Carapace plates. 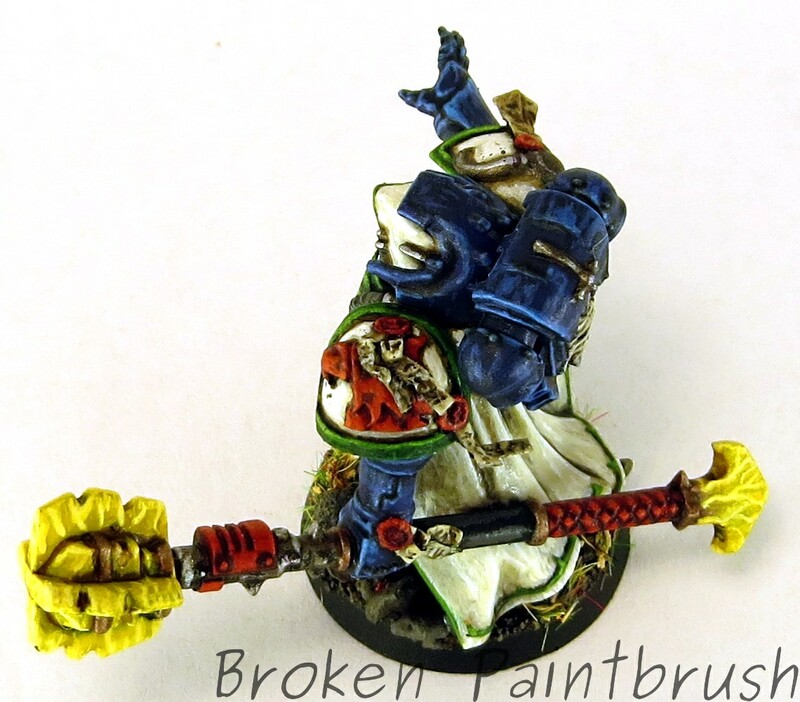 To tie him in with the rest of my Mentors I used white for the robe and green trim. Red was added through the staff and purity seals. The yellow was used to tie in with the rest of the Second Company and helps transition the blue and green.